My original post was a tongue and cheek look at my makeup storage, you see I'm always amazed at all the products bloggers collect. 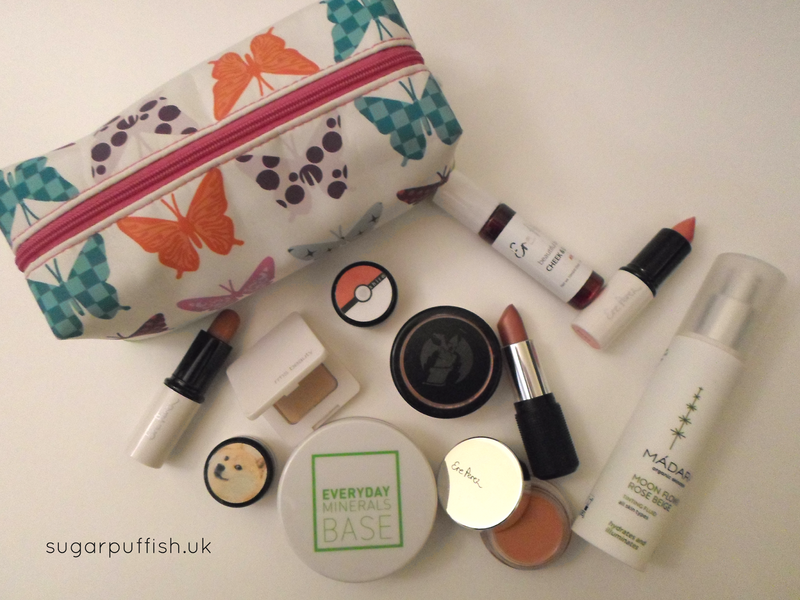 I'm totally addicted to skincare but with makeup I can take or leave it, my collection still fits into one small cosmetic bag. Yes you read that correctly, no drawers or cabinet, just a small bag. What do I currently have in my stash? Pictured are the following products. 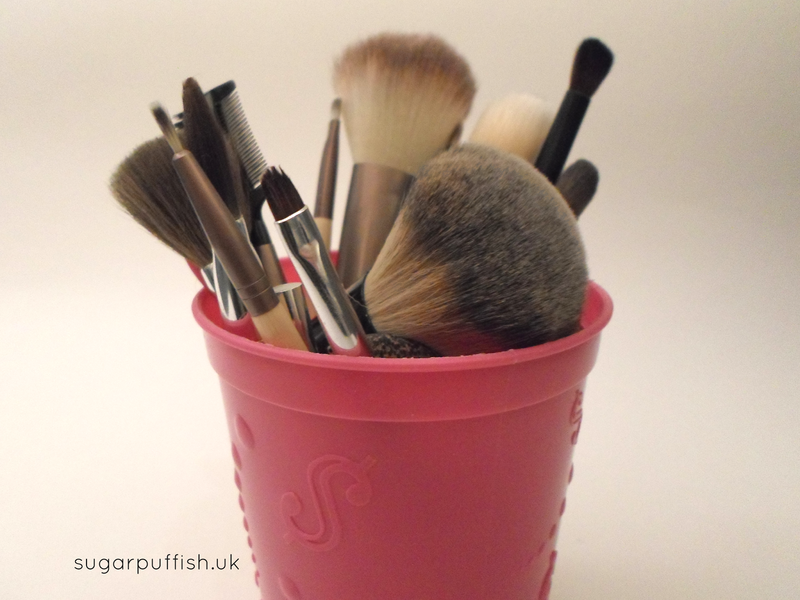 I also have a small collection of makeup brushes which I store very simply in a pink pot from a Casino (which I picked up from Australia in 1999 lol plastic really never dies!). My brushes are cruelty free and vegan from Eco Tools, So Eco, Neve and Bellapierre and I clean them with Dr Bronner's liquid soap. As you can see I have a very minimalist lifestyle when it comes to make up. I've only been experimenting in recent years. I spent my youth having allergic reaction to everything in Boots so now I have natural brands at my finger tips I'm learning to love makeup all over again, just baby steps so far!